we've got 2 posts lined up for you today to make up for some lost time :) and since this particular product has been quite a hit since it's entered the market, I thought I'd write a post on it for some of you curious ones! 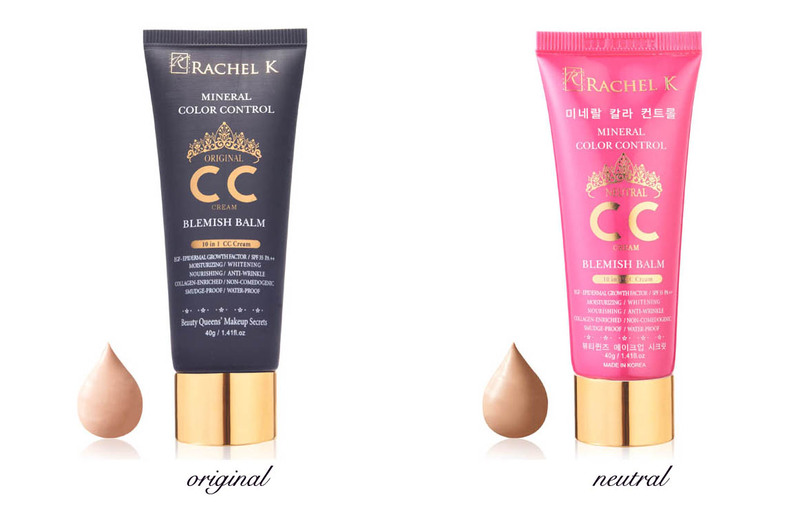 Rachel K's CC Cream is no new contender in the BB/CC Cream market, and has actually been around for about a year. It differs from most BB Creams because, very obviously, CC stands for Color Control.This means that, unlike most Blemish Balms, this one aims to correct color tones for most people and has a more accurate adjustability to the skin without the dreaded greyish undertone. At the same time, it offers the same range of benefits to the skin as promised by BB Creams. What's not to love!? Rachel Kum herself claims this as her makeup secret to looking flawless (though let's admit it, she's already dropdead gorgeous without this), and for so many of us, isn't there no better assurance of the quality of the product than that? So, Ashley and I thought we'd put this product to the test. The packaging is pretty simple to understand - it just works by turning the cap off the tube and squeezing the desired amount into your hands. If you dislike a dirty nozzle, simply clean off the excess with your (clean!) fingertips whenever you're done. A tissue should do fine as well. It is relatively easy to take care of and use. There are two colors in this product range: Original and Neutral. The Original Range was the first one to be released and was meant to fit pinker undertones. However, there were complaints that the color fit a demographic of those which had very fair to fair skin (so if you are in the range of perhaps NC 15-25, this would be perfect for you). 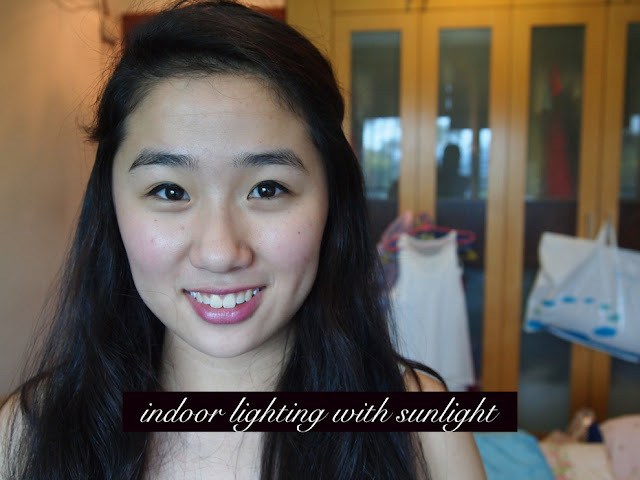 Singaporeans in general tend to be tanner due to the constant sunshine and heat. Moreover, for those people who opt for a sun kissed glow, Original would just not make the cut for them. 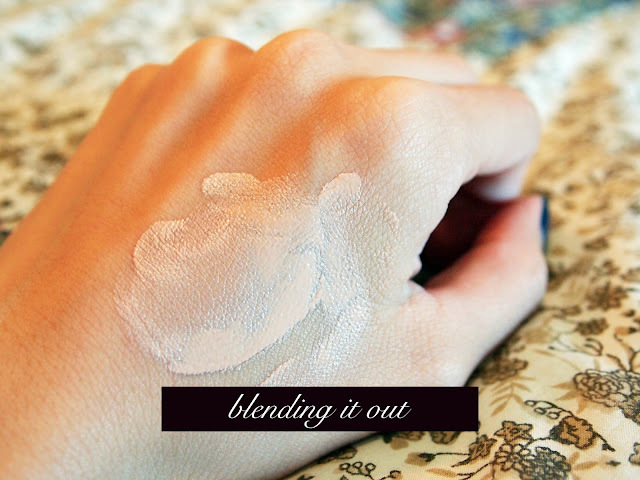 Therefore, Neutral was released for those with yellow to golden undertones, which suited the range of NC30 and above. Whilst, of course, this did not cover the entire range of color tones, it did accomodate a greater number of people. I myself purchased the Neutral because I was an NC30 thereabout, and thought that the Original would be too fair for me. Fortunately, I was right. Above I have shown you swatches of the Neutral Color. Of course, our hand color can be much darker than our faces, especially if we do take much better care of the latter (and I am aware the lighting of the photos is quite orange-cast). However, the color adjusts very well onto my face (a miracle, yes?) and does not seem any darker or lighter. The color is really quite perfect. If you want to fake that no makeup look, this would definitely do the trick. On top of that, you will notice just how easily it blends out onto my hand. The finish is smooth and unnoticeable. But I must tell you that the application process, is actually one of the cons to this product. If you were hoping to "massage" this into your skin, you might want to be careful. This product can leave streaks because it dries rather quickly. 3) Then I quickly dot my fingers all over my face in a patting motion until everything blends in. This method also lessens the likelihood of cakiness and lets the product sink into your skin rather than just sit on it. I do not have photos of myself to show, but I did apply this product on Ashley when we were filming one of our upcoming videos (stay tuned!). I took both photos indoors, but one is without any form of sunlight on her face, and the other is whilst she stood in front of the window. As you can see, the coverage is really so natural. 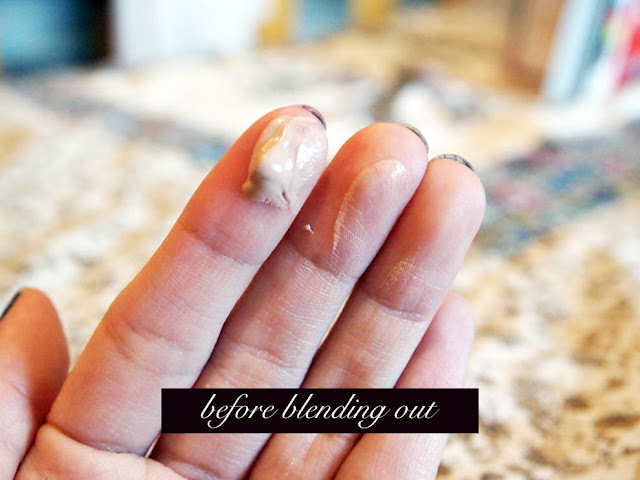 I think that, as with most liquid cosmetics, the coverage can be buildable but I find it best not to go on too many layers because the formulation is already rather thick. If you want a fuller coverage, you can layer Rachel K's Pressed Powder on top - I've heard that that product has had quite a lot of raves as well. Oil control wise, I would say this is above average. 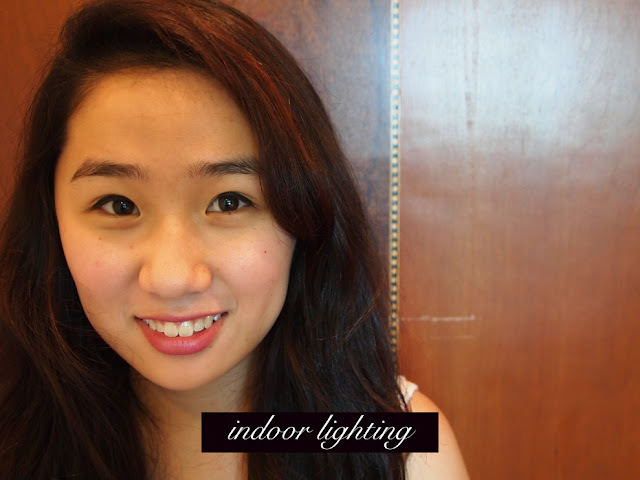 I am of Combination/Normal Skin, and my forehead and nose area is more prone to oiliness. I have tried this alone and with loose powder on top. Needless to say, the oil control with powder is much better; but on its own I think it works fine. I found that I only had to blot once throughout the day (though I must mention I am in air conditioned rooms 90% of the time when I'm out). Stockists: Most Watsons in Singapore sell them, but you can also get them on Luxola. How is the oil control for this CC cream? Anyway, the oil control is about a 7/10. If you have very oily skin, I think it necessary to put a loose powder on top to set. However, I have Combination/Normal skin and I used it alone to find it works perfectly fine! Definitely works because I found myself only having to blot once a day! Well I have never tried the Skin79 myself, but I did do extensive reviews before deciding that and this CC cream coincidentally. I cannot talk about the improvement in my skin because I honestly did not see any. To be fair, I have heard raves for both sides but this is just my personal opinion.I have also tried BB Creams from Etude House & Hanskin but the CC cream won me over best.